Chelsea ran out comfortable winners against Peterborough yesterday, despite being reduced to ten men midway through the second half. By the end of the game Nat Chalobah, Ruben Loftus-Cheek and Ola Aina were all on the pitch at the same time, a joy to behold for Chelsea fans who were delighted to see their academy products on show. Loftus-Cheek started the game in essentially the position that Eden Hazard plays, as an inside left forward, later switching with Willian to play the same role on the other side. The 20 year old did well, using his strength to hold the ball up, linking up nicely with Pedro who raced down the left, and eventually providing a cushioned knockdown for Michy Batshuayi to score from. He made several clever runs behind the defence, one in the first half culminating in a shot that stung the keeper’s palms; one in the second which saw him sprint free but roll his finish past the far post. However Loftus-Cheek is hardly a natural in this position. Unlike Willian on the opposite side, who was able to turn away from his defender time and time again to create danger every time he received the ball; Loftus-Cheek’s big build and lack of experience in such an advanced area made him much less dangerous getting the ball to his feet with his back to goal. It all adds to the frustrating central question of the academy product’s long term future – where will he play? So far we’ve seen Jose Mourinho start him in his favoured central midfield before deciding he wasn’t yet ready and pushing him further up the pitch to play off the striker, without great success. Now he have Antonio Conte who has started him previously as a striker, and now as an inside forward. 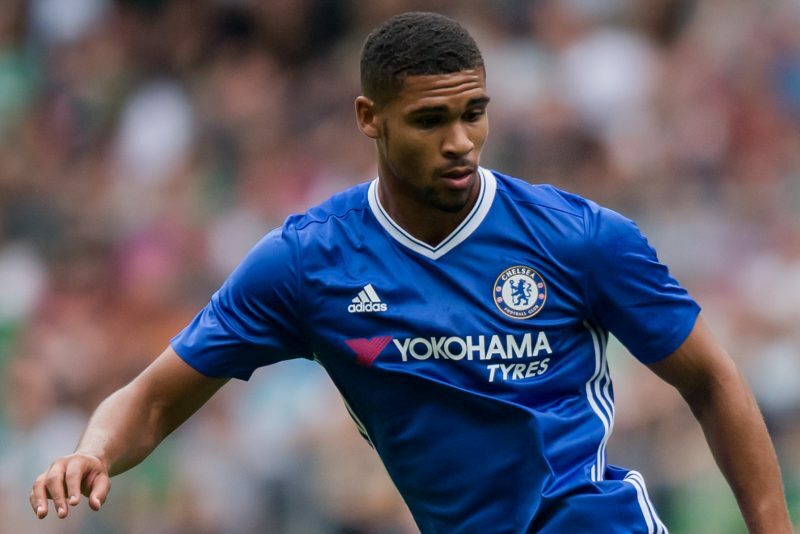 Wherever he plays, Loftus-Cheek shows great ability, and his physical gifts are unquestionable. But now at the age of 20 it is becoming a concern that he doesn’t seem to posses all the tools to play in any one position, instead he has a range of talents that make him able to play different roles to a decent standard. This is perhaps the best argument for sending him on loan – an extended period playing at one club in one position will help him discover where his future lies on the pitch. It will also help improve his stamina, currently the only aspect of the physical side of the game that is lacking. While it’s been fantastic to see him play games in blue like yesterday, a loan to a team where he will finally find his best position could be the best move for Ruben’s development in the long run.